I am a very simple person and I do not have much talent for dining or dressing. Yet God is fair: I have a special talent on canvas. 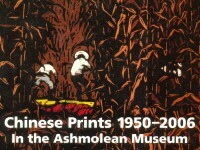 In 1966, Wang Jieyin graduated from the Shanghai School of Art. He became a teacher there in 1977 and in 1986 he pursued his studies further at the Academy of Applied Arts in Vienna. He is now a professor at the College of Fine Arts in Shanghai University. 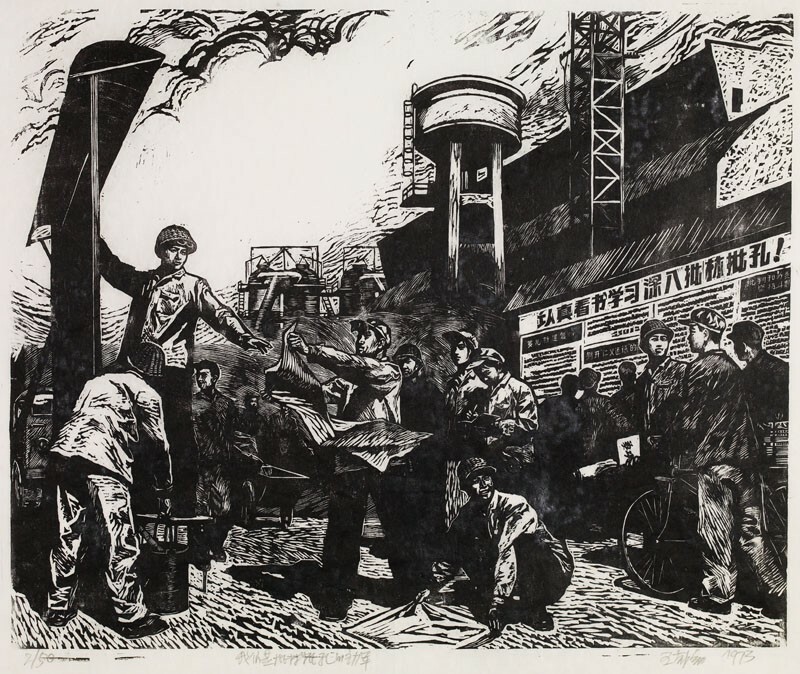 Wang’s early work reflects the 1970s mainstream influence of Soviet socialist realism. His recent work combines traditional literary art, folk art and abstract art to form his own visual language in prints and paintings, with a purely aesthetic concern. 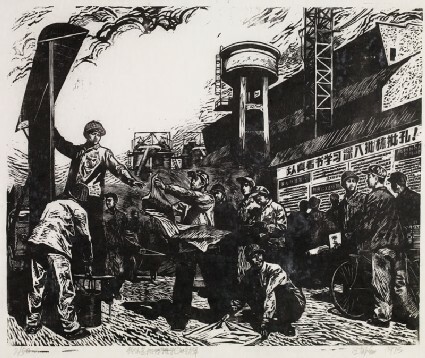 This print depicts factory workers involved in the political campaign to ‘Criticize Lin Biao and Confucius’, one of a series of political movements in the Cultural Revolution. The information panel reads: ‘Reading and studying hard, criticizing Lin and Confucius in depth’. The style of this work reflects the 1970s mainstream influence of Soviet socialist realism. Wang Jieyin is now a professor at the College of Fine Arts of Shanghai University.